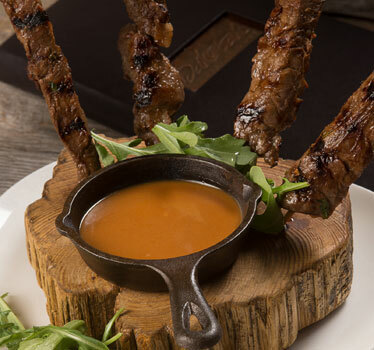 Buffalo Satay Skewers: Skewers of lean buffalo marinated in our Asian inspired sauce, with a spicy peanut dipping sauce. 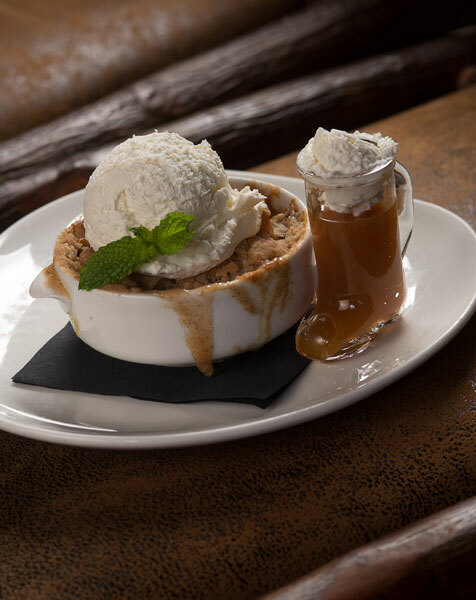 Apple Crisp: A classic cowboy dessert made with granny smith apples, crispy topping and finished with caramel sauce and bourbon whipped cream. 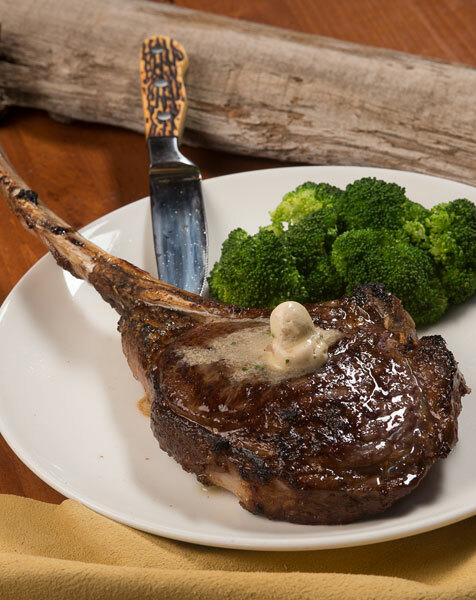 Cowboy Bone-In Rib Eye: Our signature Dakotah Steakhouse Cowboy bone-in rib eye, served with fresh broccoli. 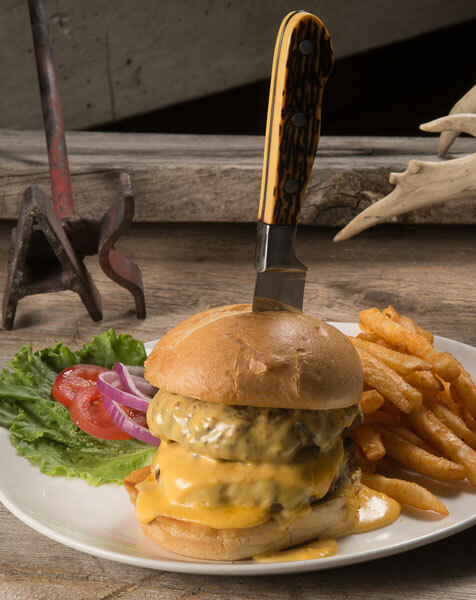 Dakotah Double: Two patties (half pound) of our house-ground beef smothered with cheese. 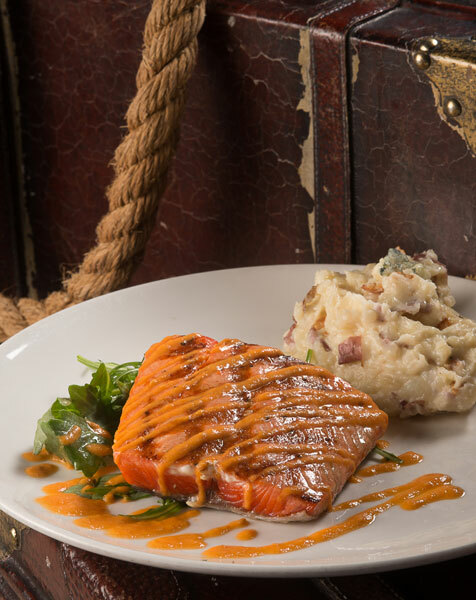 Sockeye Salmon: Perfectly broiled fresh salmon filet served with a smokey tomato sauce. 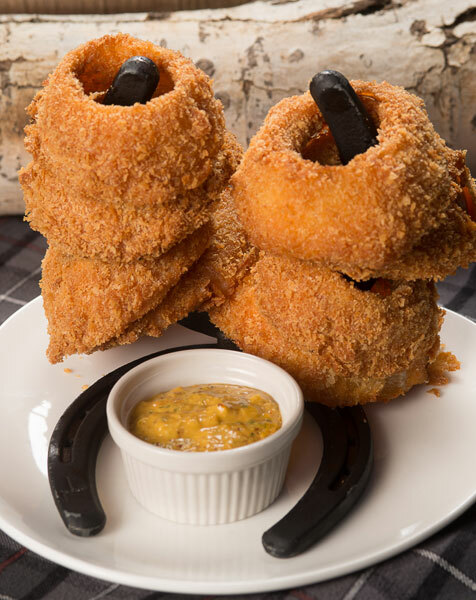 Steakhouse Onion Rings: Shiner Bock beer battered and hand-dipped onion rings served with remoulade dipping sauce. 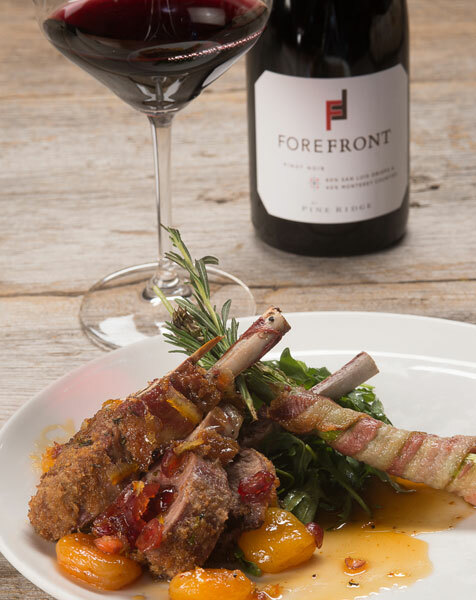 Lamb Chops: Panko rosemary crusted chops with apricot orange chutney. 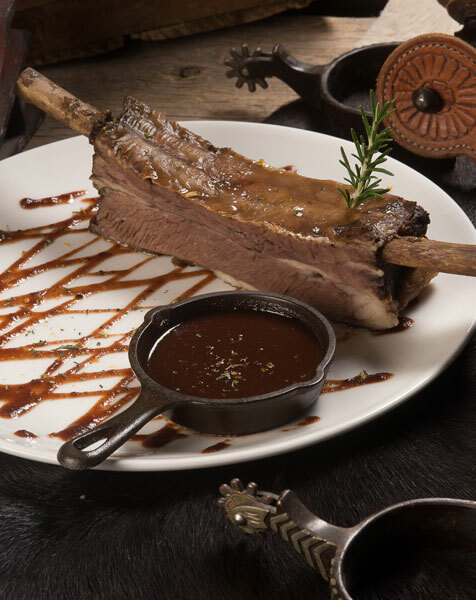 Braised & BBQ'd Buffalo Bone: Tender "fall off the bone" whole buffalo rib, served with orange zest barbeque sauce. 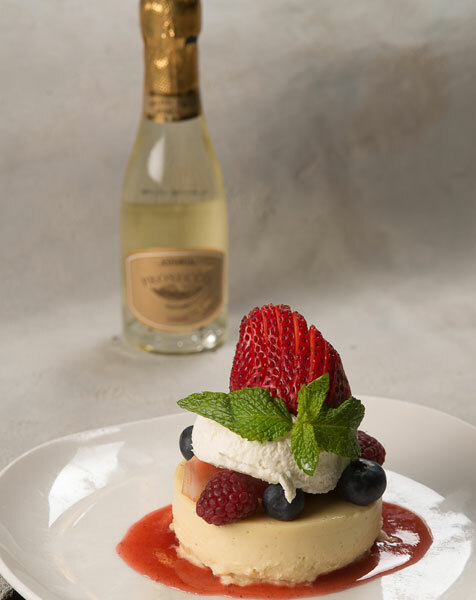 Kuchen with Berry Topping: South Dakota's state dessert with berry sauce and fresh whipped cream. 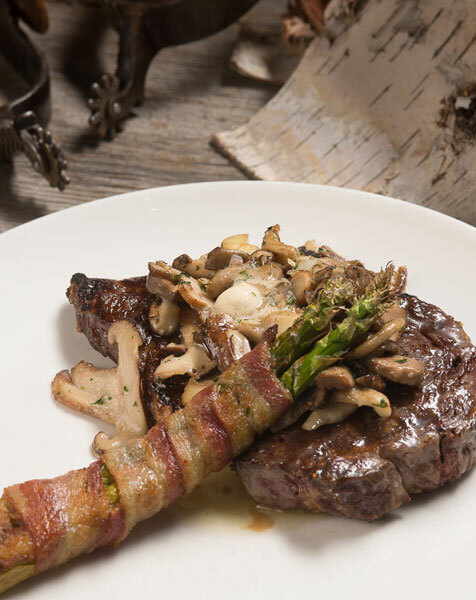 Rib Eye: Dakotah Steakhouse rib eye topped with sauteed mushrooms, served with bacon-wrapped asparagus. With twenty Craft-Beers on tap, an extensive wines by the glass program, and Specailty Martinis make the Dakotah Bar the place to be. Happy Hour is Monday through Friday 4 pm - 6 pm offering all tap beers signature wines and well drinks $1.50 off and Appetizers buy one get second for $3.00. Gift cards are available for purchase at the restaurant or online. 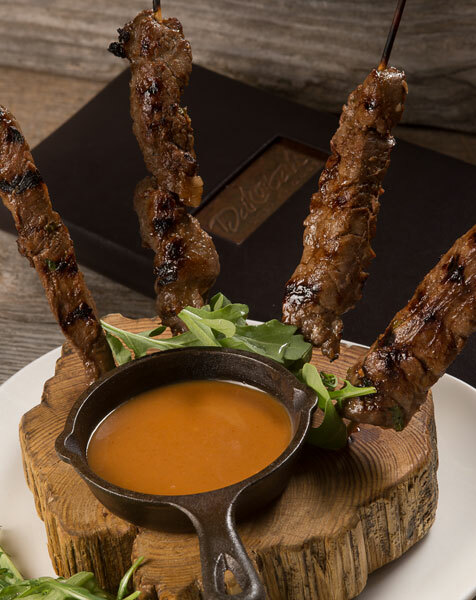 Make a reservation at Dakota Steakhouse! Every region in the country has one great steakhouse. In the Black Hills, it's Dakotah Steakhouse. 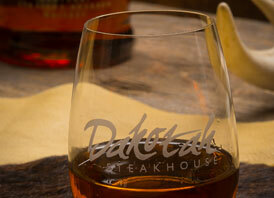 At Dakotah Steakhouse each dish is crafted from scratch and served by our professional staff.